Today at the OpenStack® Summit in Sydney, public cloud providers from around the world, in collaboration with the OpenStack Foundation, launched the OpenStack Public Cloud Passport program. The Passport program was created to help potential users find the open cloud that’s right for them by receiving trial to OpenStack public clouds. 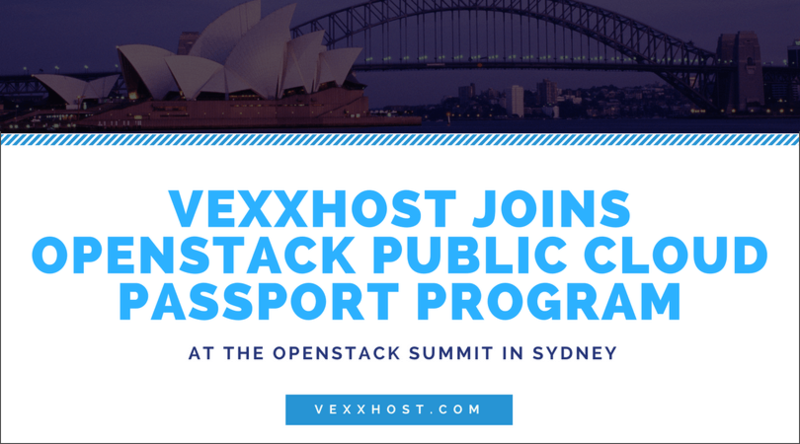 VEXXHOST is proud to announce that it will be joining the Passport program as an OpenStack Passport Provider allowing potential users to be free to roam the cloud right for them. VEXXHOST welcomes users looking to trial a Canadian open infrastructure provider specializing in helping users architect and optimize their cloud infrastructure to reduce costs and increase performance. 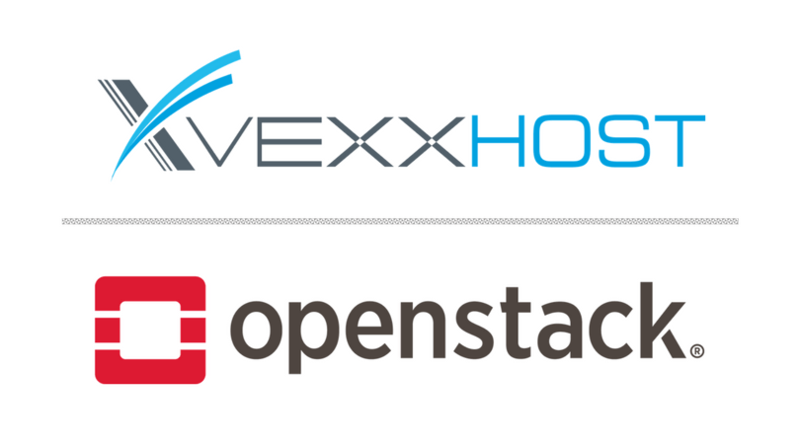 VEXXHOST OpenStack Passport provides free trials of all public cloud services including securely hosted virtual machines, networking, object or block storage, orchestration, load balancing, big data, file sharing, cloud images and container services. New customers can trial the OpenStack Passport from 10 founding public clouds providers via openstack.org/passport – VEXXHOST is providing free trials for 30 days. “The launch of the the OpenStack Passport program here in Sydney, by open cloud providers worldwide, is the first step in our shared commitment to customer service,” said the Chair of OpenStack’s Public Cloud Working Group, Tobias Rydberg: “This is just the beginning, more public cloud providers will join the program, adding customer value for more locations, languages and legalities”. “We are proud to join the OpenStack Foundation and all nine other providers for the launch of this program. By having VEXXHOST public cloud available on the OpenStack Passport program available, potential users can try our OpenStack infrastructure first hand and see to see if it fits their needs and requirements,” said CEO of VEXXHOST, Mohammed Naser. To get started using our cloud via your passport today, please follow these instructions: https://vexxhost.com/public-cloud/passport-program/.